“If you try to scale the fence they’d be even too happy to have you arrested and separated from your children.” Jeff Sessions, US Attorney General. He jokes about the repressive and draconian US Policy in seven decades. To the level of a joke with applause? And he jokes with this as a backdrop. (a) Whoever removes a child from the United States, or attempts to do so, or retains a child (who has been in the United States) outside the United States with intent to obstruct the lawful exercise of parental rights shall be fined under this title or imprisoned not more than 3 years, or both. whether arising by operation of law, court order, or legally binding agreement of the parties. the defendant had physical custody of the child pursuant to a court order granting legal custody or visitation rights and failed to return the child as a result of circumstances beyond the defendant’s control, and the defendant notified or made reasonable attempts to notify the other parent or lawful custodian of the child of such circumstances within 24 hours after the visitation period had expired and returned the child as soon as possible. (d) This section does not detract from The Hague Convention on the Civil Aspects of International Parental Child Abduction, done at The Hague on October 25, 1980. Trump, Miller and Session's policy is illegal. And, Sessions jokes! From Trumpian Draconian immigration policy to a reality which affects each of us and could lead to another US recession. Trump Debt and Deficits. The Trump/Ryan Tax Cut could prove as dangerous to the US as any terrorist threat from overseas. While we are being horrendously entertained by Tropism lie some cheap reality TV show, real dangerous is at the core of Trumpism. The well-staffed and judicial activism of the SCOTUS is returning the US to a time of comfortable social regressivism for conservatives, Trump is tickling the innards of regressive Americans and the Congress is hiding like a Tortoise in a hail storm. The following projection is more than troublesome. 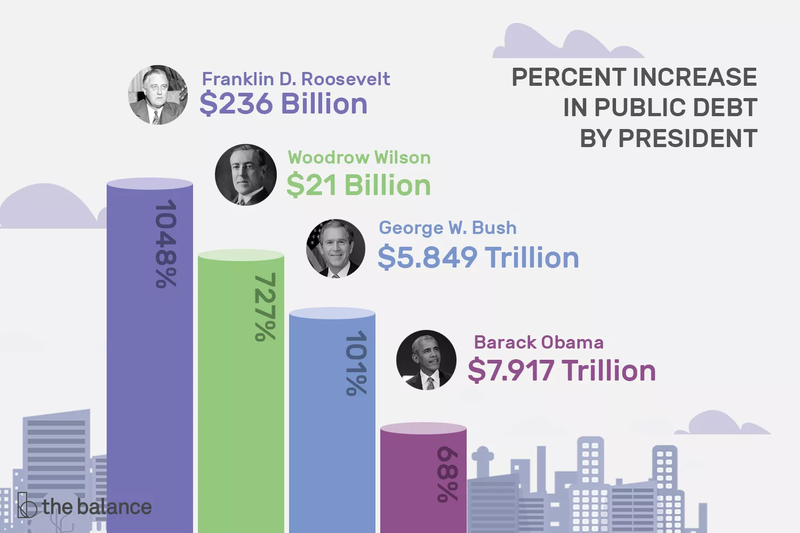 The Balance published a great piece regarding the US Debt with attention to past US Presidents. Here is a graphic from the piece. Yes, it points to former President Obama as a leader whose Administration positively addressed US Debt. The piece clearly delineates Obama's impact on US Debt while commenting on what is to come for Trump (as projections). Donald Trump: As projected in the FY 2019 budget, Trump plans to add $8.282 trillion, a 41 percent increase from the $20.245 trillion debt at the end of Obama's last budget for FY 2017. If he spends as he hopes, Trump will add the second-highest dollar amount in history. More importantly, he will add almost as much in his first term as Obama did in two terms. FY 2021 - $1.119 trillion. FY 2020 - $1,198 trillion. FY 2019 - $1.225 trillion. FY 2018 - $1.233 trillion. The tendency to equate Obama's Debt experience with Trump's Tax cut related projections and unbelievable spending based on regressive policies (imprisoning Immigrant kids) is a false equivalence comparison, to put it mildly. It I used the non-mild vernacular, I would characterize the comparisons as utterly ridiculous while verging on ignorant. Let's stick with the mild version. Since Trump and his cabal are pushing civility from the Left (only). Is calling Senator Elizabeth Warren Pocahontas civil? Is calling all brown skinned refugee immigrants "rapists", "criminals, "murderers", civil? Obama spending as enacted in response to the US Bush Great Recession. 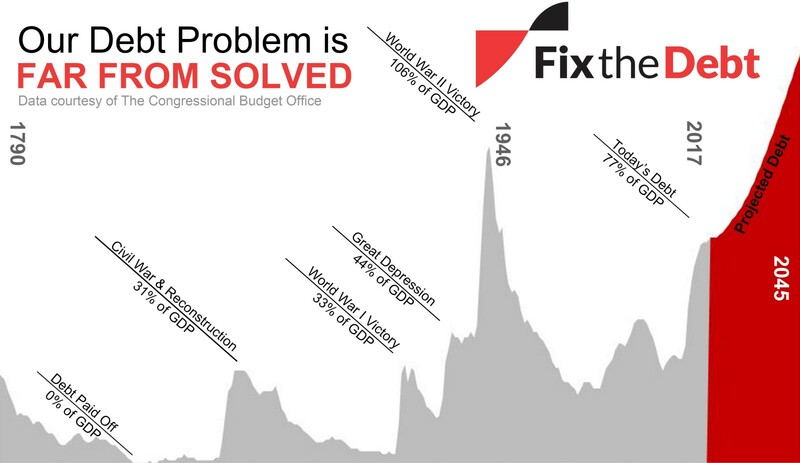 It was enacted to stop the bleeding towards another Great Depression and it worked. Take a look at how President Obama accomplished a critical economic mission via his Stimulus and other anti-recession (remedying) spending. Linked here. Trump's failing economic policies are not getting attention. Media is chasing Trump's daily reality show episodes while the GOP incompetently leads the nation into treacherous realms. Actually, I should modify my use of the word "incompetent" to fulfilling the wishes of GOP corporate constituents. Well, the GOP has to pay its Piper (moneyed constituents and socially regressive bigots).